Getting a quick quote on customised clothing is simple thanks to our online tool. The first thing you need to do is pick a product and enter your colour and size requirements. The total will update online as you enter your desired quantity. Tick 'customise' next to your chosen item to open the online customisation tool. 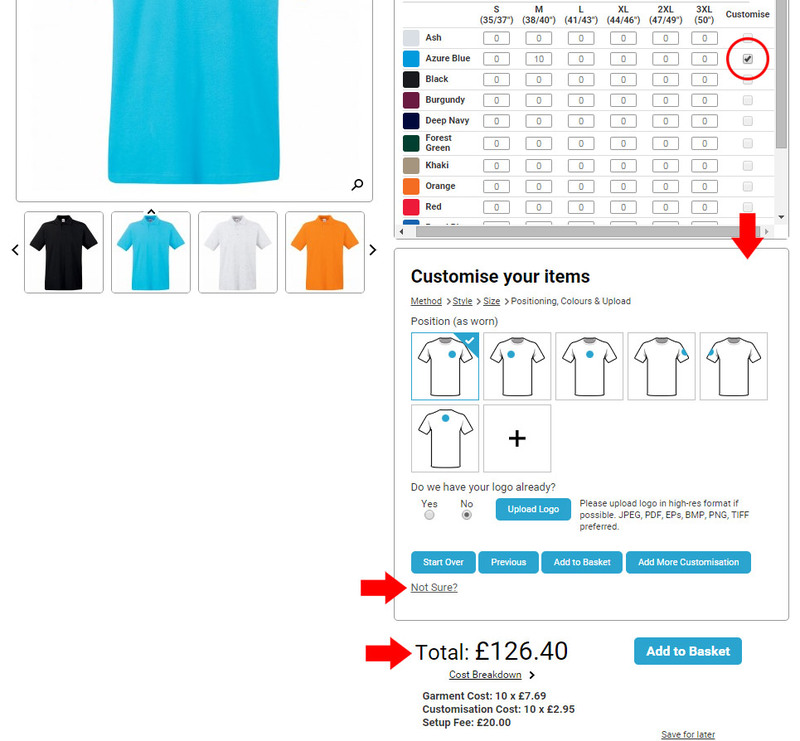 Go through the process to add your desired printing or embroidery and the cost breakdown will update live online. If you get stuck at any point simply click the 'Not Sure?' link to get help. You now have your live total. 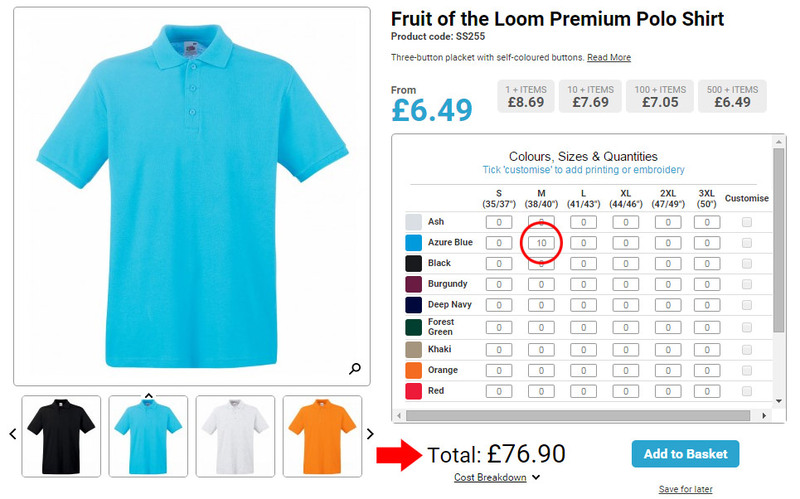 To add more items simply add the current product to your basket or save it for later and repeat the process again. Everything you place in your basket will be added together for a live total.